Visit our events page for the board's meeting schedule. The Library Board of Trustees meets at 5:15pm at the Library on the 4th Monday of every month, except July and August. The Board does not meet during those months. The public is always welcome to attend Board meetings. The purpose of the Friends of the Bradley Beach Public Library is to support the services, programs, and mission of the Library, as well as to enchance the artistic, cultural, humanitarian, intellectual and literary aspects of our community life. We are a 501 c (3) fundraising arm of the Library working in conjunction with Library staff and the Board of Trustees. We are a strong voice for promoting advocacy of our library. Our objective is to organize fundraising opportunities within our community for the support of our Library. Some of our recent fundraisers include: Downtown Abbey Tea, Walkathon, Psychic Fair, Jewelry Sale, 50/50 Raffle, Book Sale, Community Appeal Letter, and Brick Memorial Wall Sale. The funds raised through these events enabled us to support the ADA Addition to the building, making it accessible to all. Fundraising events will allow us to make our "Great Little Library" the best it can be. The Friends is a registered 501 c (3). All dues are tax deductible. Call our Membership Chairperson Jeannie Moretto at 732-774-8040 to join or come to the next meeting. Meetings are held at the Library at 7 p.m. on the first Monday of the month, September through June. 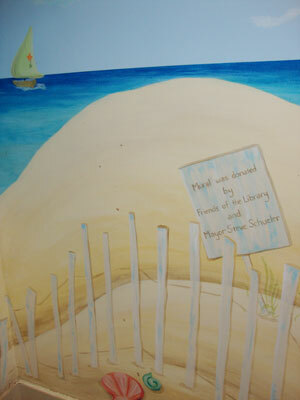 Visit the Bradley Beach Library FaceBook Page and stay connected with the latest updates and goings-on at the library. Sign up for our mailing list to receive library news and event updates in your inbox! Check out our blog for regular library updates.